About | Bugg and Wolf, P.A. 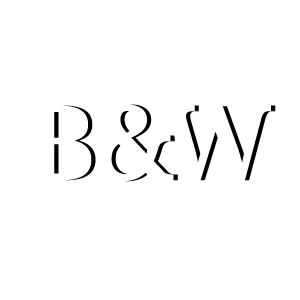 Every attorney with Bugg & Wolf, P.A., has spent the majority of their legal career practicing in our core practice areas: Construction Law and Civil Litigation. John Bugg is in his fifth decade of practice and Bill Wolf is now wrapping up his third decade of practice. The majority of our work is for longstanding clients. Most of them were originally referred to us by existing clients or other attorneys familiar with our experience and success. A considerable number of our clients first met us across the table or courtroom on the other side of a given dispute. If you have a legal problem, you should be confident that the attorney you retain to represent you has the skill and experience to identify the legal issues involved and formulate a cost-effective plan to resolve the problem. This is what we offer at Bugg & Wolf. We have the experience, skill and the integrity to maximize the results for our clients promptly and cost effectively. Although we counsel our clients to settle if a reasonable, cost-effective settlement of the dispute can be had, we can be prepared to take your case to trial or arbitration if necessary and appropriate. Although we cannot guarantee favorable outcomes, we seldom take cases to trial or arbitration hearings unless we are confident we can achieve a satisfactory result. Opposing counsel is usually aware of our reputation for success, and this, of course, also fosters a reasonable and cost-effective resolution of a given dispute.